One of the longest lasting innovations in home design is the restoration of vintage pieces of furniture. This process, whether done by professional furniture makers or do-it-yourself buffs, is a great way to save money and improve the décor of a home. With the ever increasing cost of hiring carpenters and master craftsmen, do-it-yourself restoration of an antique or damaged piece of furniture is both cost effective and rewarding. Additionally, restoring a family heirloom like a chest, trunk, dining room table, or dresser is a great hobby. Rustic iron hardware can be molded to fit just about any type of drawer, cabinet, or door handle. Forged iron wire pulls are made to last a lifetime and will not require a great deal of daily maintenance. 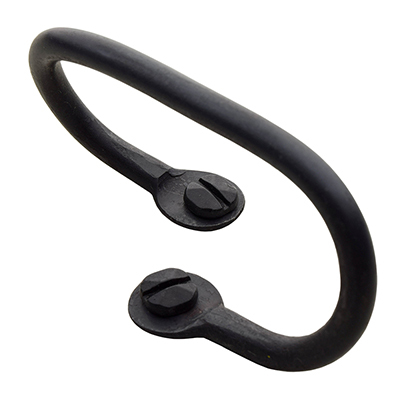 This particular type of rustic iron hardware is both alluring and long lasting; unlike plastic or cheap knock-offs, forged iron wire pulls are the real deal. While plastic pulls and hinges might look and feel the same as iron wire pulls, they are prone to breaking, cracking, fraying, and not fitting properly. In the case of plastic hinges, pulls, and handles, they might be less expensive and easy to secure but, in the long run, they are nothing more than cheap imitations of rustic drawer pulls & hardware. After completing all of the hard work involved in bringing back a nice family heirloom, your best bet is to pay a little extra for top notch parts. Once the physical restorations are done, but before the fittings are replaced, make sure to apply a top quality finishing agent to the piece of furniture. A matchless finishing agent will ensure that the restored piece of furniture is impermeable to stains, spills, and fraying. There are numerous products available for this vital process.